Joni Daniels understands the key issues organizations face in working to motivate, educate and inspire people. Through training programs, presentations, meeting facilitation, projects, and one-on-one guided executions, Joni expertise is educating clients on promoting people's potential and productivity. 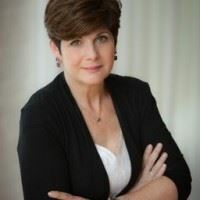 Since 1989 Joni Daniels, founder and principal of Daniels & Associates, has created working partnerships with clients to assist them in accomplishing their goals and objectives. Utilizing her experience, expertise, and education, clients are able to realize the benefits of increased effectiveness, efficiency, empowerment, and productivity that translate to profitability, success and satisfaction. In today’s offices, there are Traditionalists, Baby Boomers, Gen Xers, and motivated Millennials pushing into vital positions across corporate hierarchies. How do business professionals manage generational behaviors, and effectively communicate both up, down and across management lines? Today's most forward thinking business professionals, marketers and consultants require foundational knowledge about multiple generations. The bottom line, we’re all wired differently and to be successful, we need to understand behavioral tendencies of differing generations. No matter where you fall on the organizational chart, you need to learn key behaviors that will allow you to communicate goals and strategies that are understood by all those within your sphere of influence. Learn from Joni Daniels, an expert in organizational and leadership development. She will give you tools to understand best practices to garner the most from each person within your organization. Joni is a nationally recognized consultant, dynamic speaker, and author.